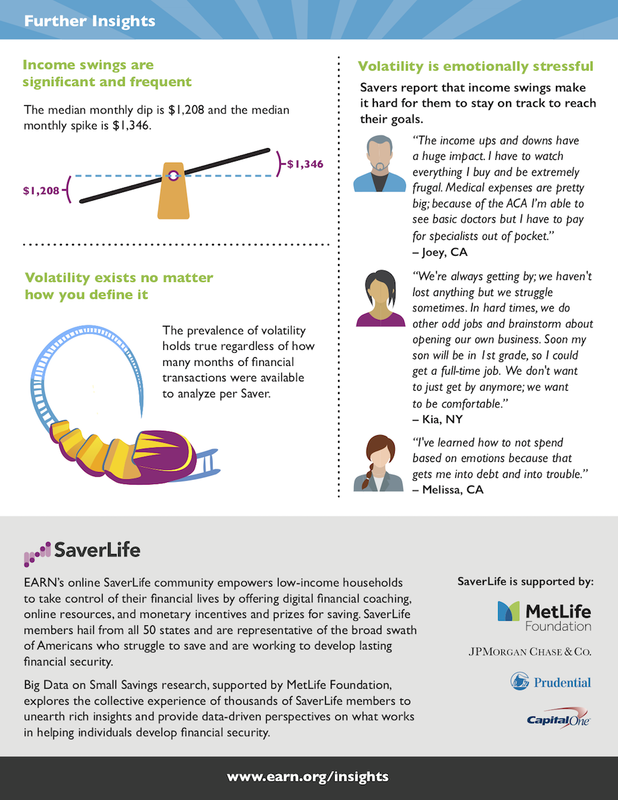 Income volatility has a consistent and significant impact on the lives of SaverLife Savers. 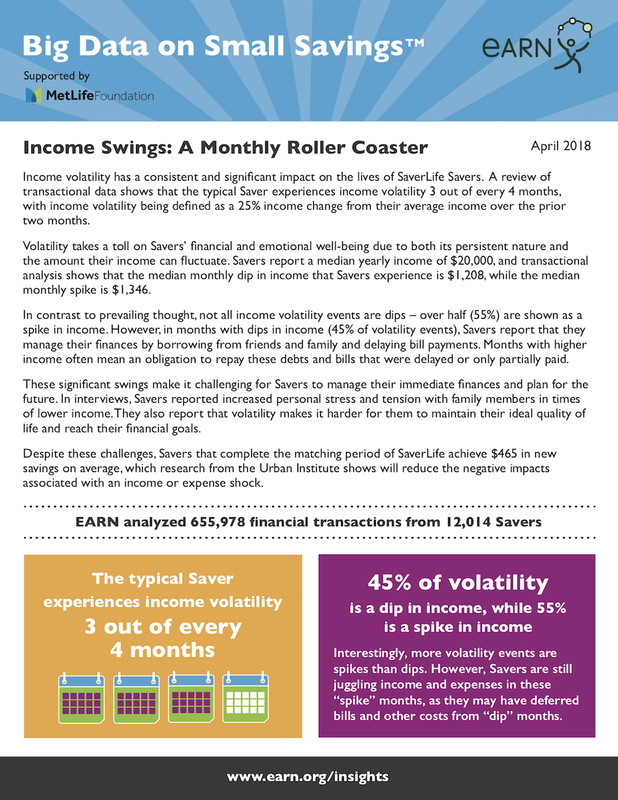 A review of transactional data shows that the typical Saver experiences income volatility 3 out of every 4 months, with income volatility being defined as a 25% income change from their average income over the prior two months. Volatility takes a toll on Savers’ financial and emotional well-being due to both its persistent nature and the amount their income can fluctuate. Savers report a median yearly income of $20,000, and transactional analysis shows that the median monthly dip in income that Savers experience is $1,208, while the median monthly spike is $1,346. In contrast to prevailing thought, not all income volatility events are dips – over half (55%) are shown as a spike in income. However, in months with dips in income (45% of volatility events), Savers report that they manage their finances by borrowing from friends and family and delaying bill payments. Months with higher income often mean an obligation to repay these debts and bills that were delayed or only partially paid. These significant swings make it challenging for Savers to manage their immediate finances and plan for the future. In interviews, Savers reported increased personal stress and tension with family members in times of lower income.They also report that volatility makes it harder for them to maintain their ideal quality of life and reach their financial goals. Despite these challenges, Savers that complete the matching period of SaverLife achieve $465 in new savings on average, which research from the Urban Institute shows will reduce the negative impacts associated with an income or expense shock.